In addition to sporting and singing dominance, the Global Peace Index 2017 recently stated that Portugal was now the third most peaceful country in the world and possible one of the reasons why we are attracting tourists that had been historically holidaying in more high risk areas. By all accounts the tourism industry is once again bracing itself for unprecedented success this year. Combine this with the government’s efforts of putting its promotional energy into developing out-of-season tourism and it is becoming evident why the confidence levels, according to the Tourist Planning and Development Institute (IPDT), are the highest on record. In the space of a year, over 5000 foreigners have officially registered as ‘new residents’ in the Algarve. It’s an indication of just how popular the region has become, says national tabloid Correio da Manhã - adding that the knock-on effect on the property market, particularly in ‘previously less than fashionable locations’, has been dramatic. As we have been writing about for the last few years the Algarve property market is continuing to improve and six months into this year we can confirm that 2017 has already shown an increase in sales figures unprecedented in recent years. Contrary to predictions and in spite of Brexit, a snap General Election and an ever weakening pound, the British are still leading the way in property purchasers in the Algarve followed closely by the French, Irish, German, Swiss, Dutch and the Scandinavians. Particularly in light of the current political instability within the Euro zone, international diversity amongst investors and home owners is essential if the property market in the Algarve is going to continue this period of sustained growth. We are currently enjoying that rare period in property sales when the market is moving away from being a buyer´s market towards being more of a vendor´s market, giving much improved balance. During this time it is possible to purchase property that is priced competitively and realistically and due to improved levels of confidence, buyers are making much quicker decisions to purchase. 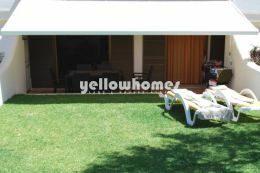 Detached villas are still the preferred type of property buyers are looking for with apartments and townhouses also improving in popularity. Indeed many properties that have been for sale for lengthy periods of time are now beginning to sell and as a result we do expect more and more properties to come onto the market as vendors take advantage of the improving situation which inevitably leads to more price increases. Of course with an improving market, investors are increasingly looking for renovation projects that will give excellent capital return as well as looking for the much larger development projects – a fascinating area within property industry that we are currently finding to be quite lucrative for our investors. As a result of this our property portfolio is changing rapidly and we are urgently looking for quality new listings or renovation property with good investment potential to sell particularly in the key areas in and around Loule, Vilamoura, Boliqueime, Almancil, Tavira and Carvoeiro. 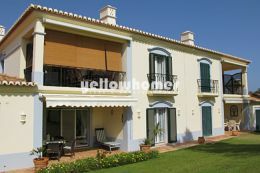 If you are considering investing in the Algarve then we urge you to browse our new, smart phone compatible and daily updated website at www.algarvepropertysearch.com featuring some of the very best properties currently for sale in the Algarve. We understand the importance of being able to offer prospective purchasers a concise yet perfectly matched selection of properties to suit all tastes and budgets. To that end, if you would prefer to make an appointment to visit our office and discuss your property requirements with a member of our team then please call us on 351 289 301 294.